People Who Care understand the presentation of your home and garden is important to you. Our team of staff and volunteers will work with you to help keep your property to your preferred standard. Experienced, qualified and trustworthy people to look after your home and garden. 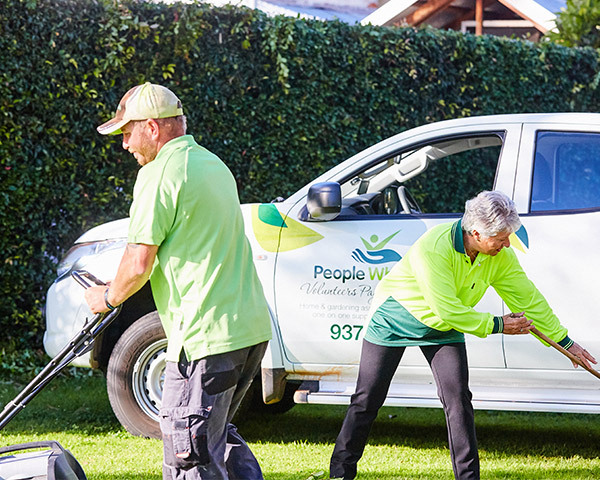 People Who Care provides a range of gardening services including but not limited to lawn mowing, hedge trimming and weeding. Our home maintenance services provides a wide range of repairs and general maintenance. Can I receive Home and Garden maintenance from the Commonwealth Home Support Program and private services at the same time? Yes you may receive home and garden maintenance under CHSP and private services to help maintain your house and garden. The CHSP support is to ensure your garden is safe and accessible whilst the private services are for beautification. What are the house maintenance tasks that can be requested? People Who Care have two handymen with general skills across painting, repairs and installations. They cannot perform any tasks which require a specialist trade such as plumbing or electrical. What are the rules around how much CHSP gardening assistance I can receive? 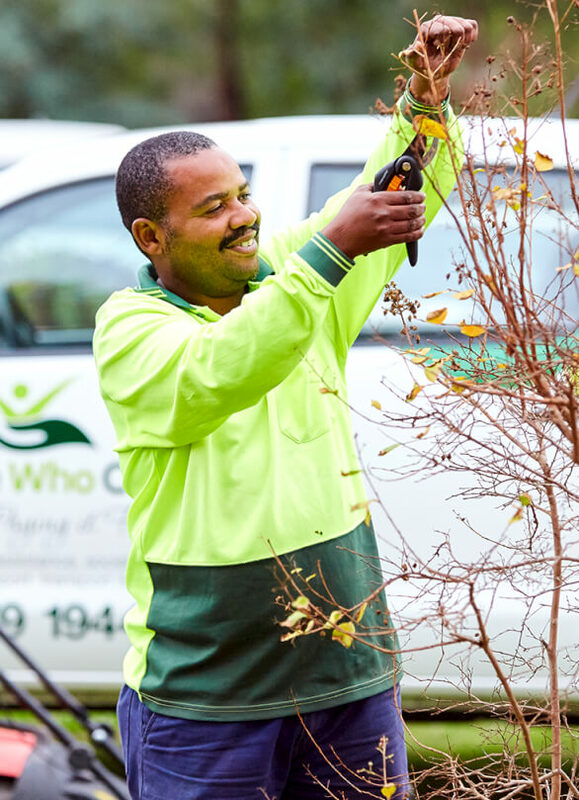 The CHSP program is designed to offer entry level home support of up to no more than 2 hours a week on average for all service types such as Domestic Assistance, Gardening, Transport etc. This means that if you require Home and Garden support that on average you will be limited to a monthly service of no more than two hours per occasion. Private services may be used to provide additional home or garden services you receive.